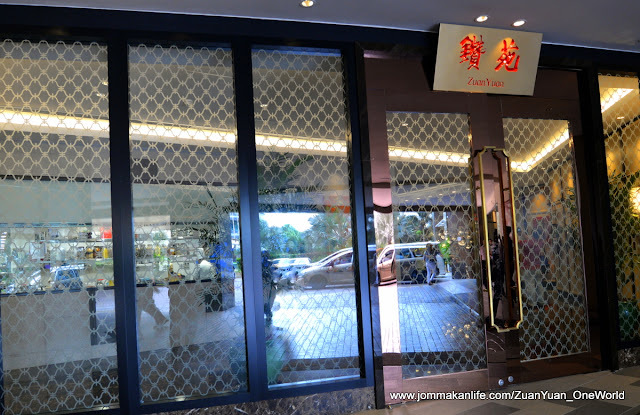 Since it opened, Zuan Yuan has been one of the better, more consistent pork-free Chinese restaurants in the Klang Valley. 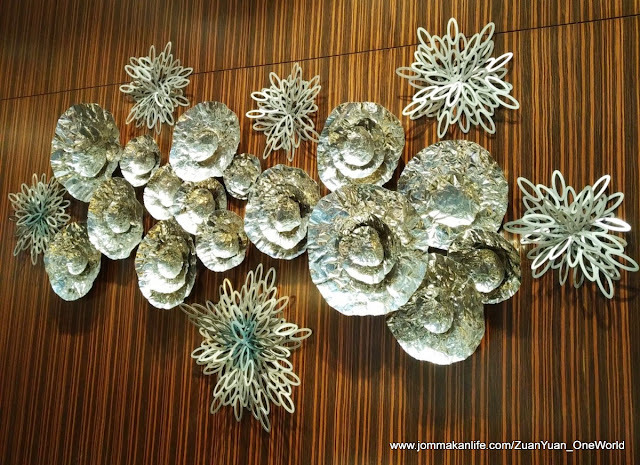 True to its name meaning ‘diamond garden’, Zuan Yuan has yet to disappoint this finicky diner. 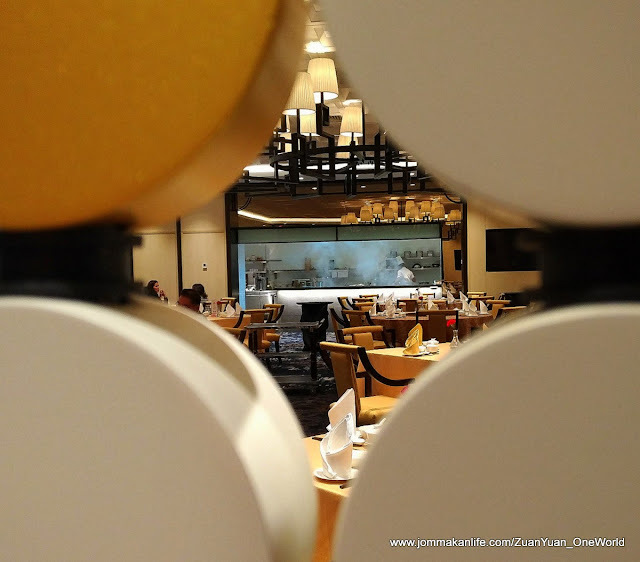 It is timely One World Hotel has refreshed Zuan Yuan too late last year. 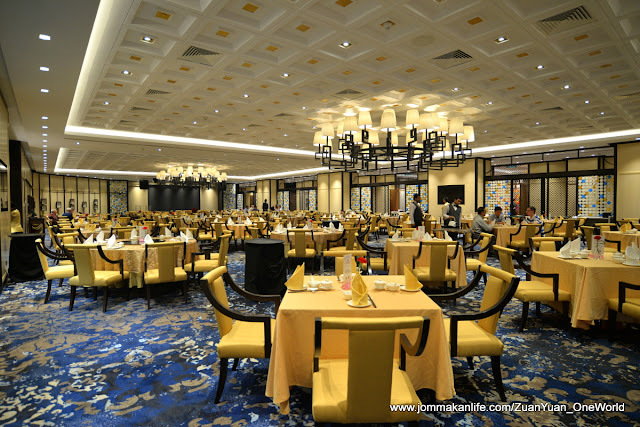 After shelling out RM10million, the restaurant is now bigger and more impressive with its updated Chinoiserie ambience. 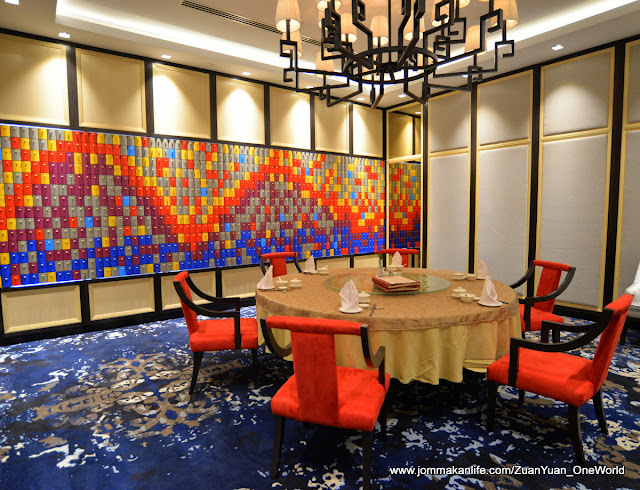 Relocated adjacent to the hotel main entrance, the new Zuan Yuan can seat about 380 guests and has 6 opulent private dining rooms on premise. 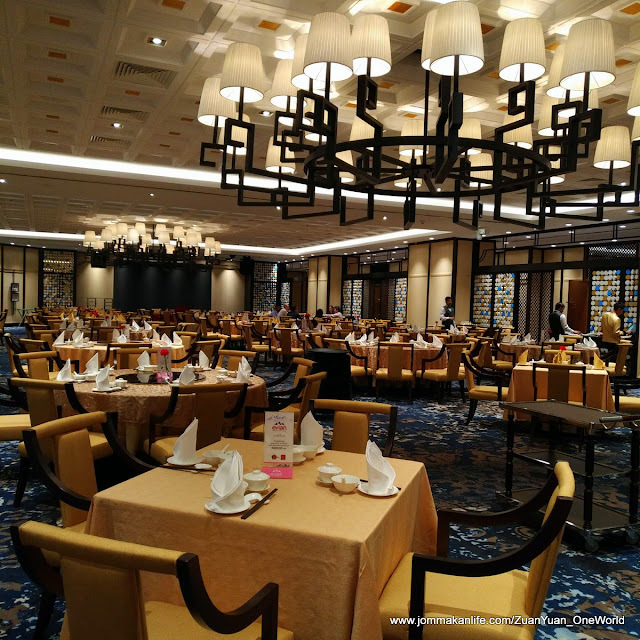 Modern multi-pronged lantern chandeliers serve as the focal point overhead in the private rooms; five of which are convertible into a large space for receptions catering up to 100 persons. Each room is beautifully adorned with bright, colourful backdrops inspired by Chinese mountainous paintings; a sophisticated venue for private celebratory dinners and business gatherings or even a wedding reception. 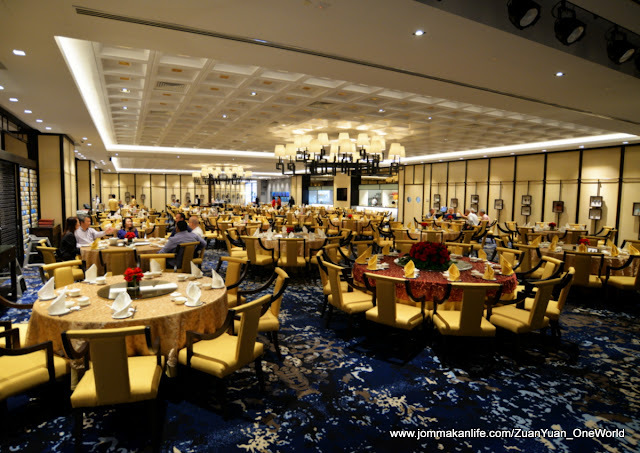 The main dining area is carvenous and pillarless, richly accentuated by a vibrant palette of deep blue, gold, white and black hues. Subtle Oriental motifs such as antique ceramics and collectibles are strategically displayed whilst the open kitchen concept showcases master chefs at work. Taking centre stage in the lavishly appointed restaurant is a high definition 15.1ft x 8.4ft LED screen. 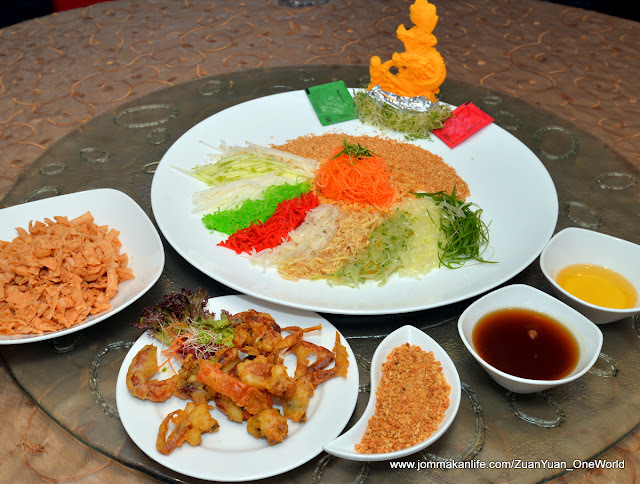 Hence Zuan Yuan would be a most befitting locale to ‘lou sang’ with friends, family and business associates this Chinese New Year. 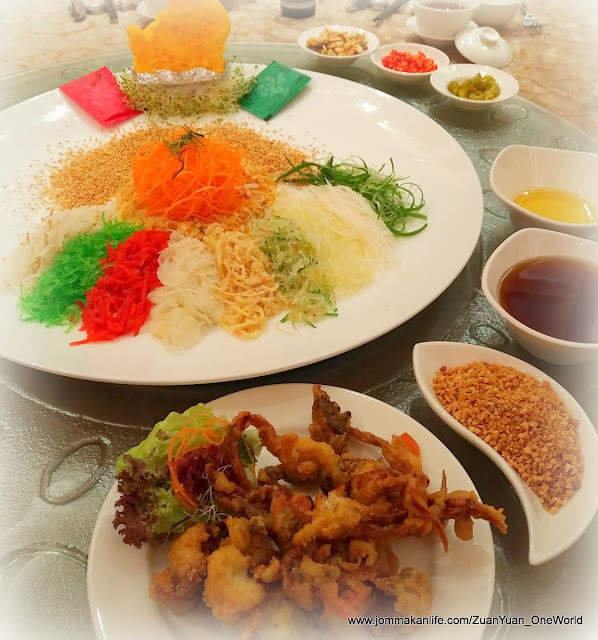 Select from a choice of crispy Soft Shell Crab, Salmon, Abalone, Salmon Skin or vegetarian Fruit Yee Sang for the customary stirring up ritual to wish for good fortune and prosperity. Available until March 2, 2018 for dine–in or take away, the Yee Sang is priced from RM118 nett upwards for half portion. Available from January 1 until March 2, 2018 for dine–in or take away, the Yee Sang is priced from RM118 nett upwards for half portion. 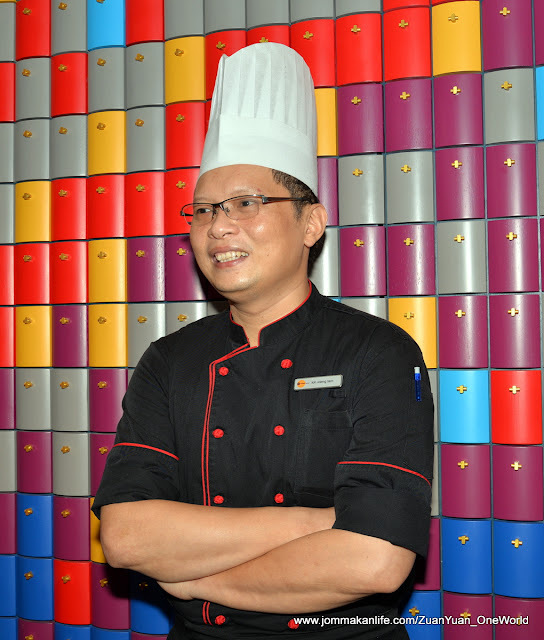 Chinese Chef Loh Weng Lam and his culinary brigade have also created 7 and 9-course set menus at RM1,738 nett, RM1,988 nett and RM2,218 nett for a table of ten including a complimentary bottle of wine or a box of Pu Er tea for the festive celebration. Our media preview opened with much fanfare as we tossed and stirred with gusto the Fruit Yee Sang with Soft Shell Crab. Shredded crytal pear lent a fresh sweetness to the plum sauce-dressed rainbow salad; the crisp chunks of deep-fried soft shell crab piling on the textural contrast. We were also treated to handpicked dishes from the various set menus to sample. 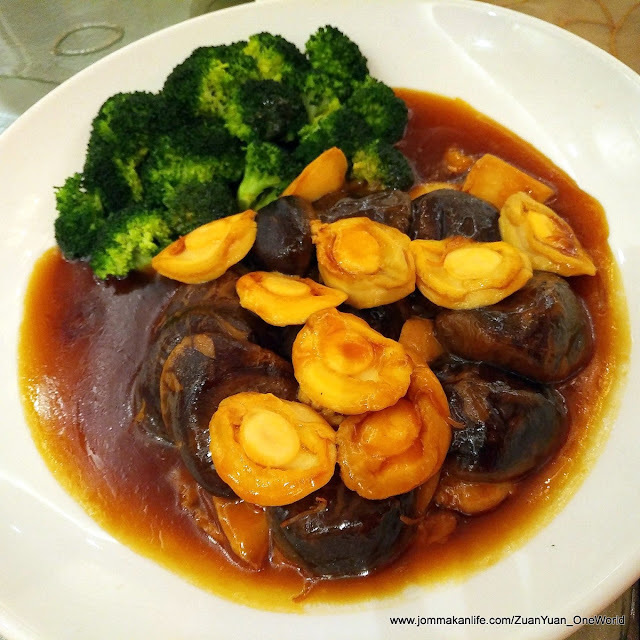 Hot on the heels of the curtain-raiser came Braised Golden Pumpkin with Sea Treasures. It was a worthy option in place of shark's fin soup. 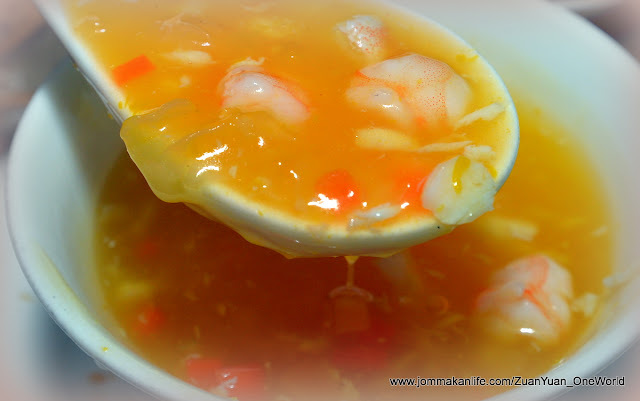 We were besotted by the golden broth studded with bits of prawn and scallop; it was deliciously lush and full of sweet-briny nuances. 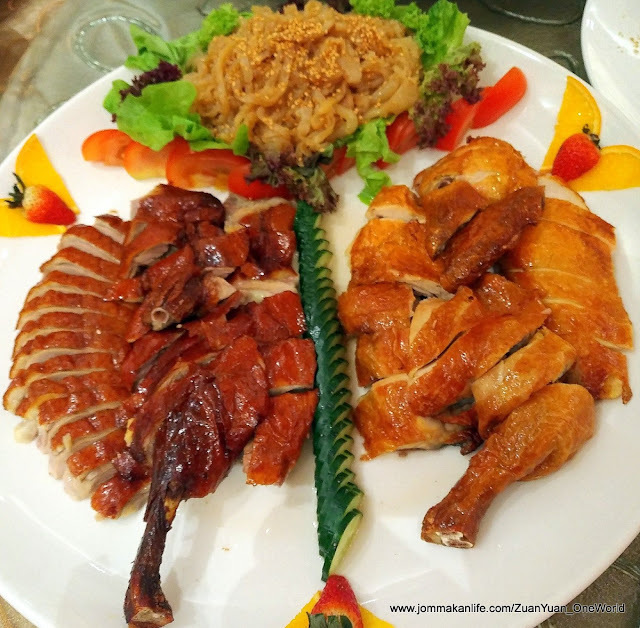 Zuan Yuan’s signature specialities of BBQ Roast Chicken & Duck had always been surefire crowd-pleasers and their inclusion for the festive occasion are apt. Both roasts wowed us with sublime crisp skin and flavourful juicy meat, a nice contrast with the accompanying serving of marinated jellyfish. A superbly on-point offering nobody would have an issue with. 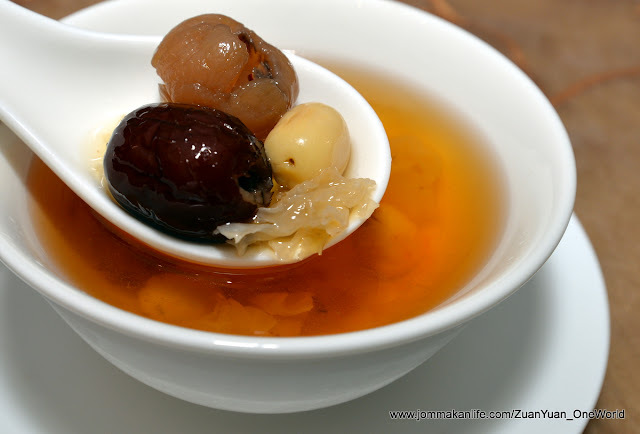 Smooth progress is inevitable this Year of the Dog when you partake pau yue or abalone. 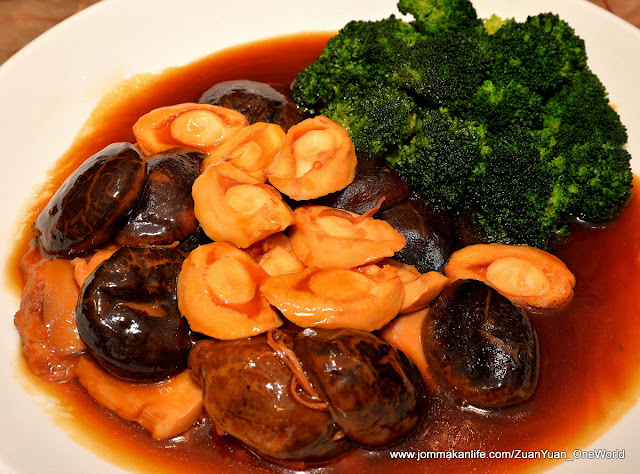 The premium gastropod reeled us in, deftly prepared by the chefs as Braised Abalone, Mushroom & Garden Greens. We enjoyed the slick smoothness and concentrated rusticity of the prime ingredients interspersed with delectable pieces of compressed beancurd sheet, all glossed in sensuous brown sauce. 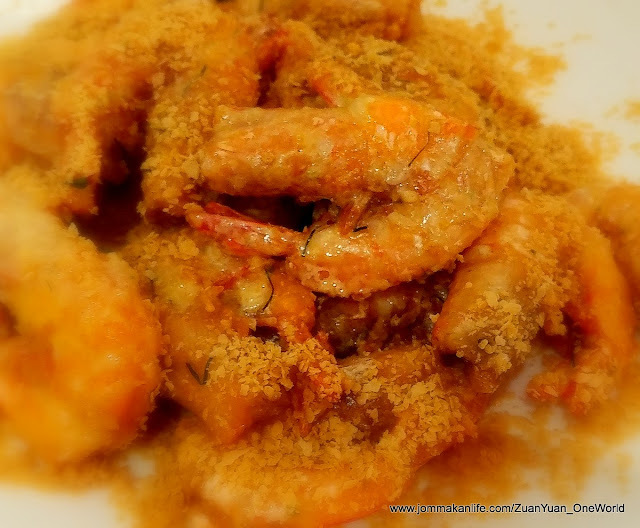 A blanket of crunchy oat sprinkles helped to lessen the guilt factor in the Spicy Fried Sea Prawns with Oats. 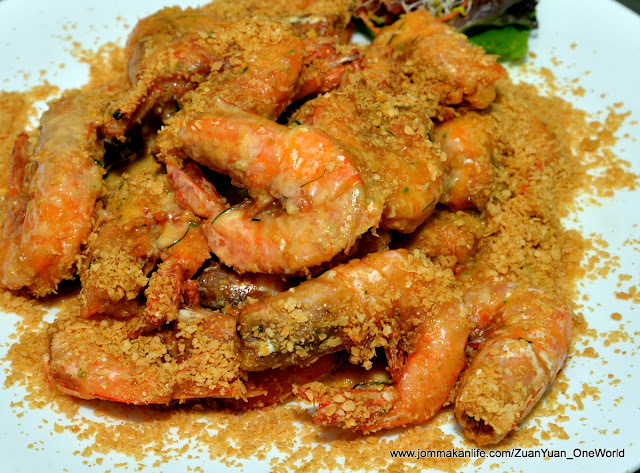 Springy and succulent, the scrumptious crustaceans were delightfully buttery on the palate. 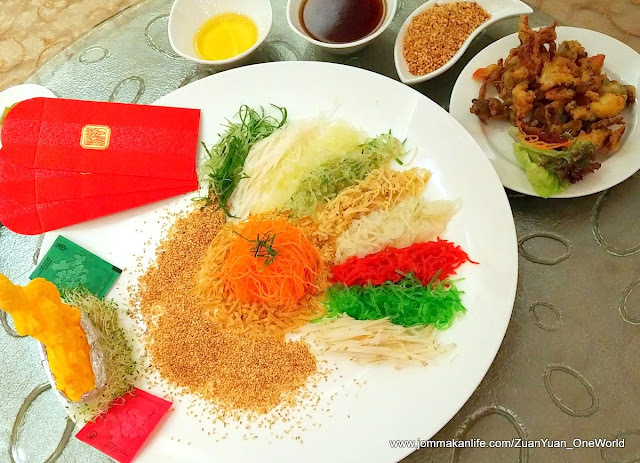 Of course, any CNY menu worth its salt will always include fish – yue – as the Chinese believes eating fish symbolically denotes ‘nin nin yau yue’ or yearly abundance. 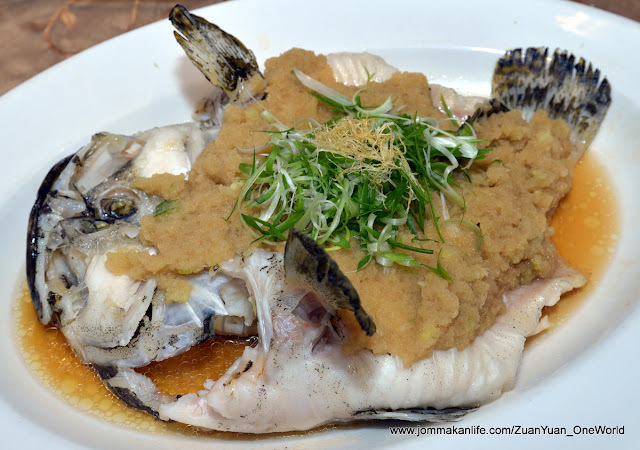 The Steamed Red Snapper with Ginger Sauce and Crispy Shredded Ginger was a worthy choice although the soft, fleshy fish was par for the course. 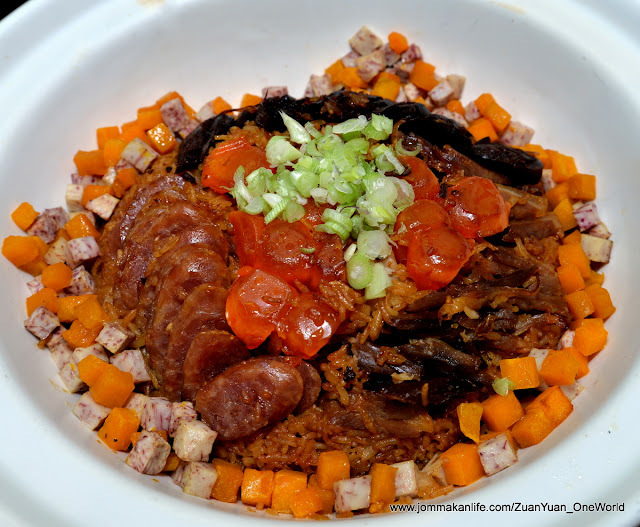 Immediate satisfaction rocked us the minute we sampled the hearty Claypot Rice with Yam, Preserved Duck Meat & Sausage. This is one instant Zuan Yuan’s pork-free status gains extra cred. 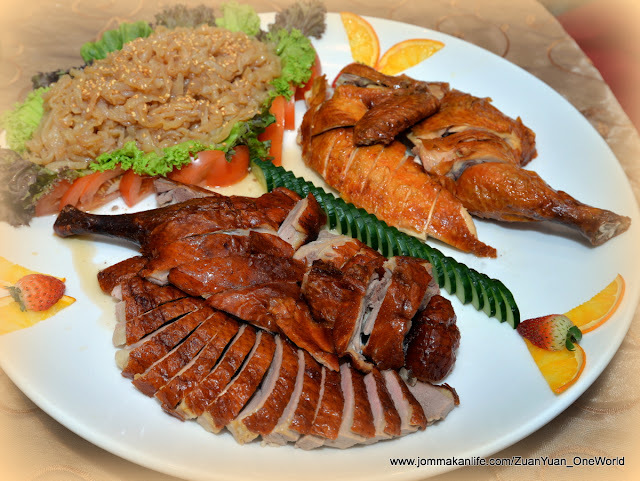 The waxed duck, liver and meat sausages suffused the rice with compelling fatty flavours. 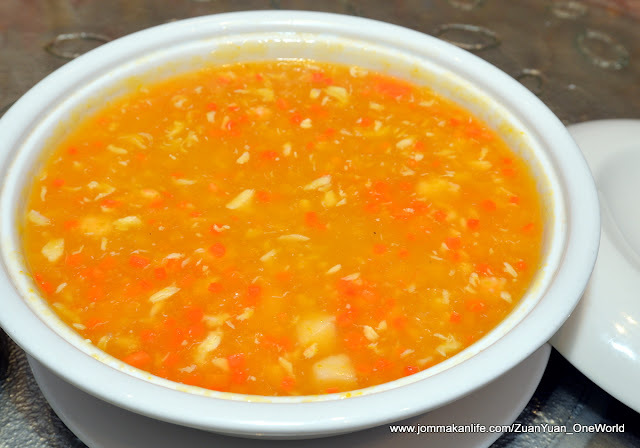 Diced yam and potato played a key role in tempering and absorbing the residual unctuous richness of this trad dish. 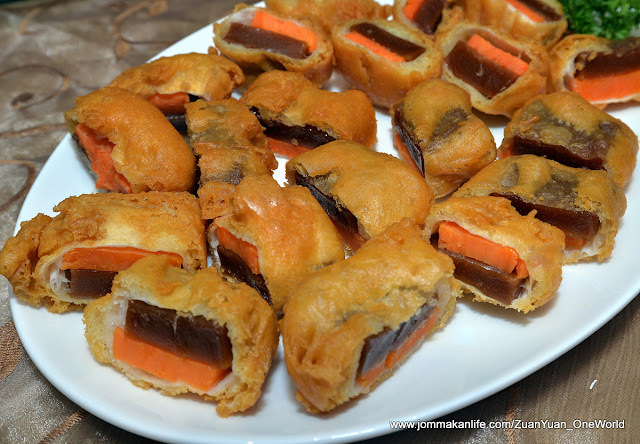 Sweetened Dried Longan with Six Treasures and Deep-fried Nian Gao with Sweet Potato brought the curtains down to our exclusive preview. Again, both dessert ticked the right boxes and should leave no cause for complaints, ensuring you leave on a merry note.